Destination spa-goers looking for a luxury experience that is nestled in nature need to look no further than Primland in Meadows of Dan, Virginia. This luxury mountain retreat offers amenities for all walks of life. The property sits on 13,000 acres, high in the Blue Ridge Mountains, and caters to rugged outdoor types who prefer the finer comforts. It was a beautiful three hour drive from Raleigh, NC and just a few minutes over the Virginia border, I found myself in another world. After passing through the security gate, I was overcome with a feeling of serenity as I made my way to the entrance of the mountain retreat. 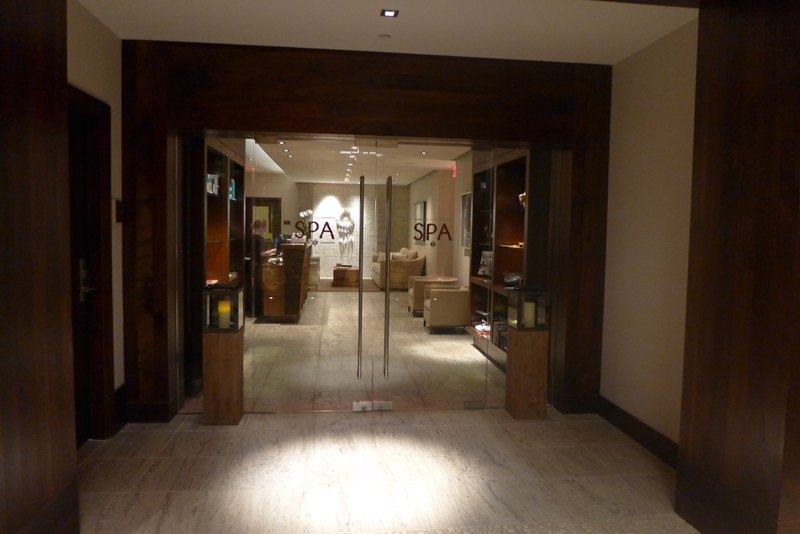 I simply couldn’t wait to get settled in and make my way in to the spa. Black bear crossing signs are scattered along the winding road as you make your way up the mountainside. From the base of the mountain, it is about a 20 minute drive. Deer, pheasant and turkey sightings are sure to be part of the final stretch of the journey, as the property is rich in local game going about daily life as visitors pass buy in their automobiles. Dropped in the middle of countryside, guests have access to all modern conveniences desired and can expect white glove treatment throughout their stay. 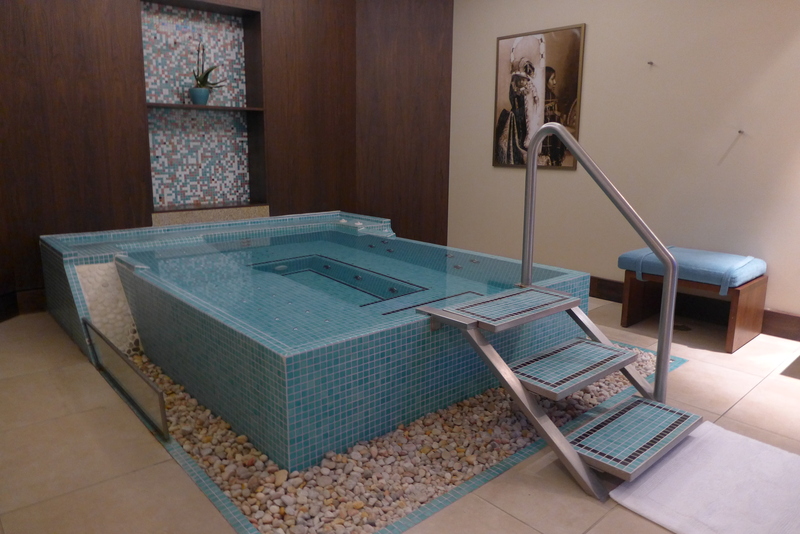 The spa facility is modern in style and decadent in offerings. The first step in the relaxation process starts with the feet. 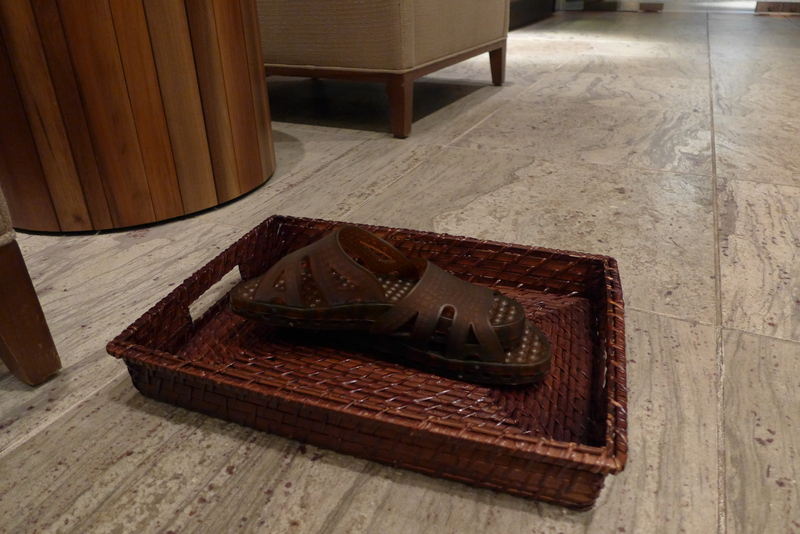 Guests turn in their shoes at the entrance and are provided comfy sandals as they make their way to the locker room. Each guest is provided a roomy locker and robe. As you slip on a monogrammed robe, all worldly stress outside of Primland starts to slip away. It is recommended you come early and take time in the relaxation room where you can enjoy hot tea or cucumber water while looking out at the mountain view. Don’t be surprised if you see a golf cart pass by, as the room looks out on to the course. I was treated to the Primland 60 Minute Signature Massage ($120) and it was heavenly. 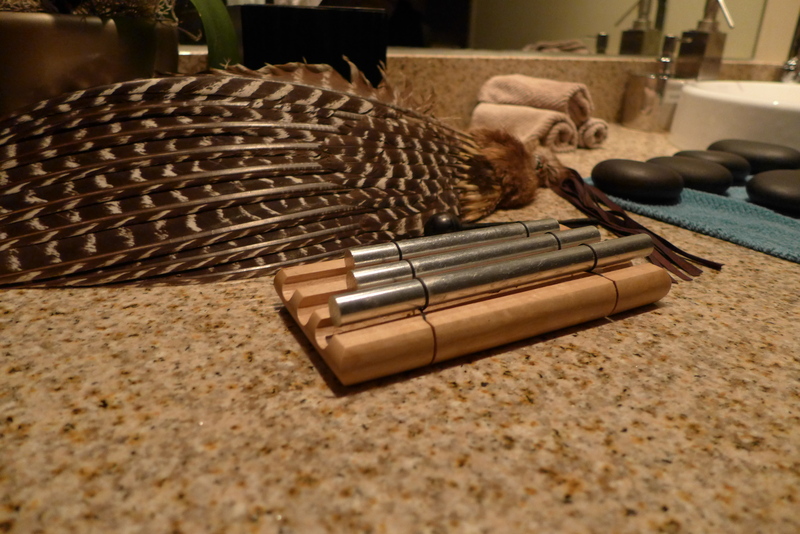 This massage experience includes techniques inspired by Native Americans. 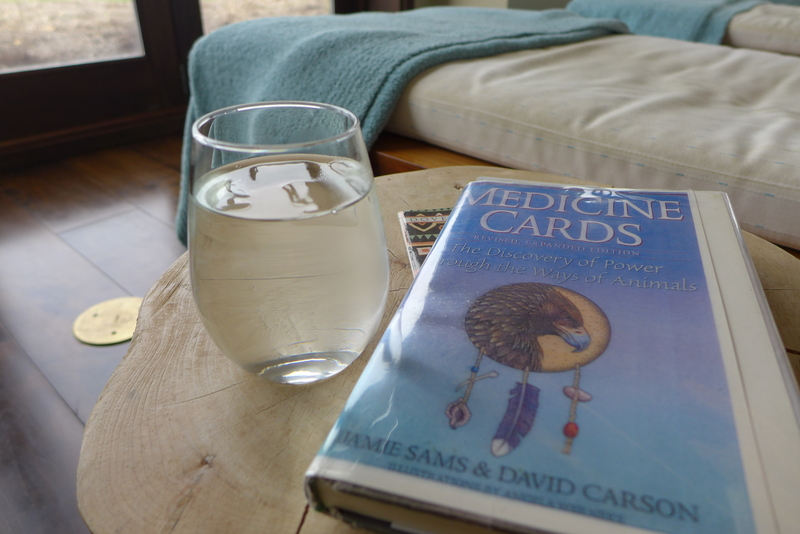 Each session begins with selecting a card from a deck of medicine cards. Images of animals are on the back side of each card and after the massage is over, guests are encouraged to read about their selection to gain a deep connection to nature. Once your card has been selected, the masseuse puts it aside to read after your session. After getting situated on the table, under warm towels, the massage experience begins. There is a gentle ringing of three chimes, one after another. Its significance is to help achieve balance and connect to nature, invigorating the body and revitalizing the spirit. The masseuse used a combination of massage techniques, including hot stones. The room was warm and soft music played in the background, providing an ideal massage setting. Personally speaking, room temperature and music are even more important than the massage pressure. It can make or break the overall experience, and this was one of my best massage experiences ever. 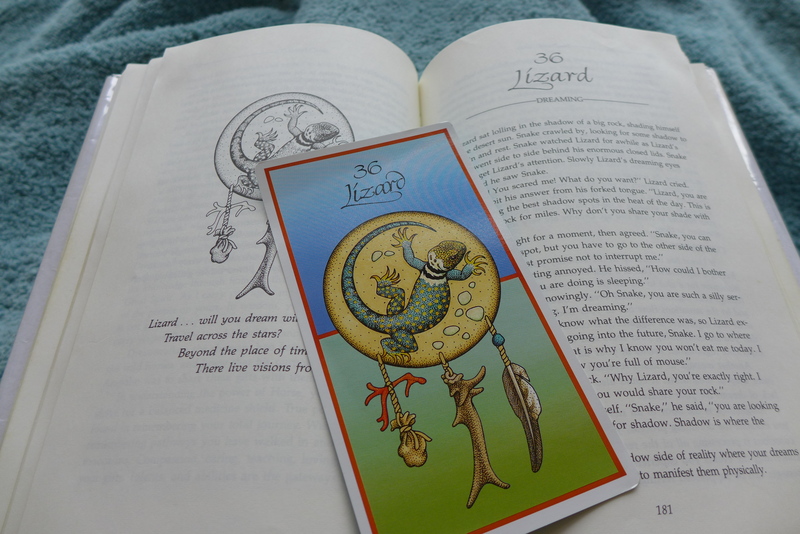 I spent time in the relaxation room, reading from the Medicine Cards book to learn more about “the lizard,” which was on the card I had selected. Now, I was hoping I would have picked something cuter, like a dog, or rabbit or something fuzzy, but instead it was something that I jump when I see. To the lizard’s credit, it represents dreams and it was interesting to learn about its influence and tie to nature. Dream interpretation is something that I am curious about, so this made for a nice end to my total experience. 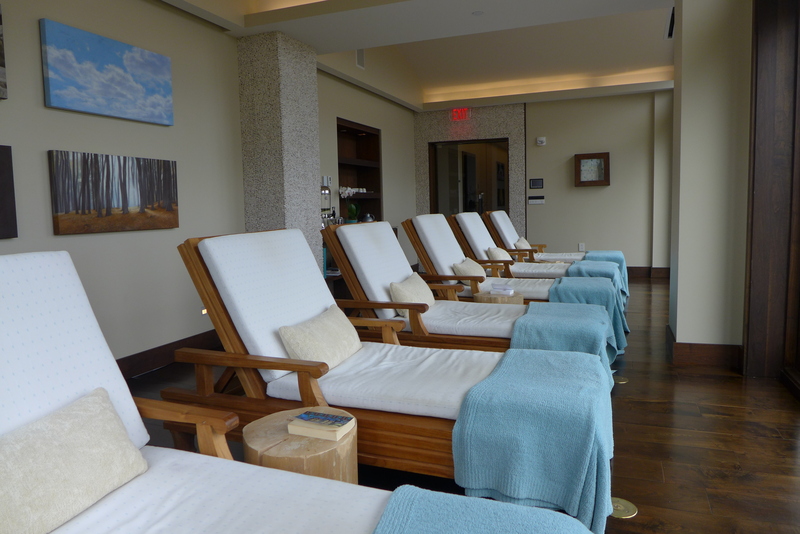 The Primland Spa offers more than just massages. If your muscles need more attention after your afternoon hike or time spent on a rugged ATV course, its whirlpool bath and sauna are available in well-appointed locker rooms. If you’re feeling energetic, the indoor pool is connected to the spa facilities and ready for you to do laps, no matter what the weather conditions. 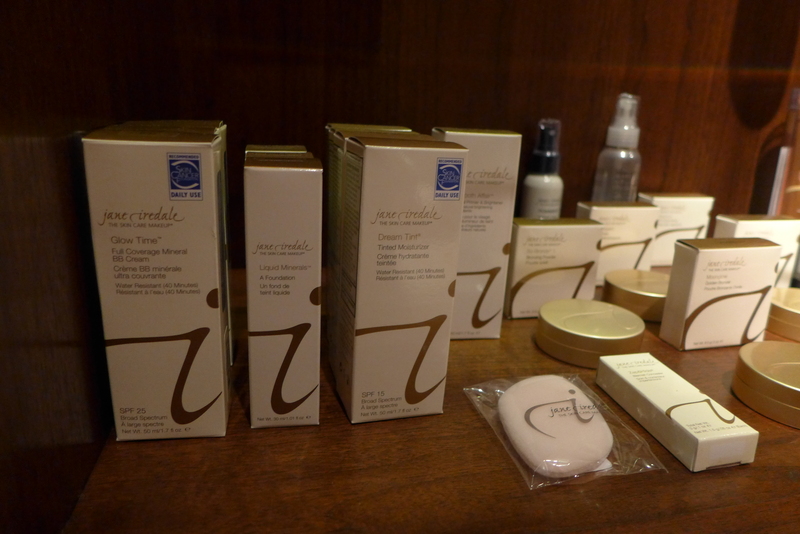 Primland Spa’s extensive service menu caters to those interested in being seriously pampered. Their mission is to revitalize your body, mind and spirit. Spa packages are available to meet the needs of women, men, children and teens. Primland Signature Massage (60 minutes $120 / 90 minutes $160) This massage experience includes movements inspired by Native Americans to balance and connect to nature. The body is invigorated and relaxed, the spirit is revitalized. Surrender to a combination of massage techniques, including use of hot stones. Jet Lag Treatment (120 minutes $220) Begin by receiving a relaxing 60 minute massage, using Swedish and stretching movements followed by a 60 min Oxygen Botanicals facial. The benefits of oxygen will leave your skin glowing and alleviate effects of jet lag. Espresso Mud Body Scrub (60 minutes $125 / 90 minutes $180) This rich mud scrub combines sweet, earthy notes of coffee to exfoliate and help remove impurities. This aromatic scrub will leave your skin smooth and moisturized. A hydrating full body massage is included with your 90 minute treatment. Magic Lake Wrap & Float (60 minutes $140 / 90 minutes $210) Inspired by an Native American legend which tells of a mystical, healing body of water known only to animals of the forest, this soothing treatment, like the Magic Lake, eases dry, stressed skin, leaving you rejuvenated and refreshed. A gentle wrap, fortified with a nourishing blend of goat milk bath, aloe vera, jojoba and other specialized oils, soothes and replenishes. A hydrating full body massage is included with your 90 minute treatment. Anti-Aging Facial (90 minutes $175) In Native American culture, the dragonfly symbolizes eternal youth, lightness and elegance. This uplifting 90 minute treatment uses special massage techniques, focusing on areas around the eyes, mouth and neck. These techniques are designed to lift and firm the skin, aiding to smooth and diminish the appearance of wrinkles, while reducing puffiness due to a congested lymphatic system. Collagen Eye or Lip Treatment (Collagen Eye Treatment $15/Collagen Lip Treatment $10) This intensive treatment helps reduce the appearance of fine lines around the eyes and upper lip. Primland’s pure collagen eye and lip pad treatment is ideal before a special night out or for maintaining youthful, radiant skin. Freeze-dried collagen is applied as an add-on to any facial, leaving your skin with a healthy, younger appearance. Sport Therapy Wrap (60 minutes $125 / 90 minutes $180) Enjoy the ancient healing power of mud which is rich in minerals, including iron and magnesium. It constitutes a valuable treatment for those with rheumatic conditions and joint pain, as well as an excellent choice for athletes and active individuals. Detoxifying Back and Facial Treatment (90 minutes $175) Cleansing, exfoliating and softening prepare the skin for removal of impurities. This treatment incorporates facial, back, hand and foot massage techniques, all instrumental in enhancing this purifying and rejuvenating experience. Primland Signature Day Package (3 ½ hours $350) Indulge your senses and revitalize your skin. This treatment begins with a sea salt exfoliation of the body. A gentle shower and a milk and oil body wrap are then performed to hydrate and nourish the skin. A 30-minute break follows in Primland’s Relaxation Room, as you enjoy a freshly blended seasonal beverage. 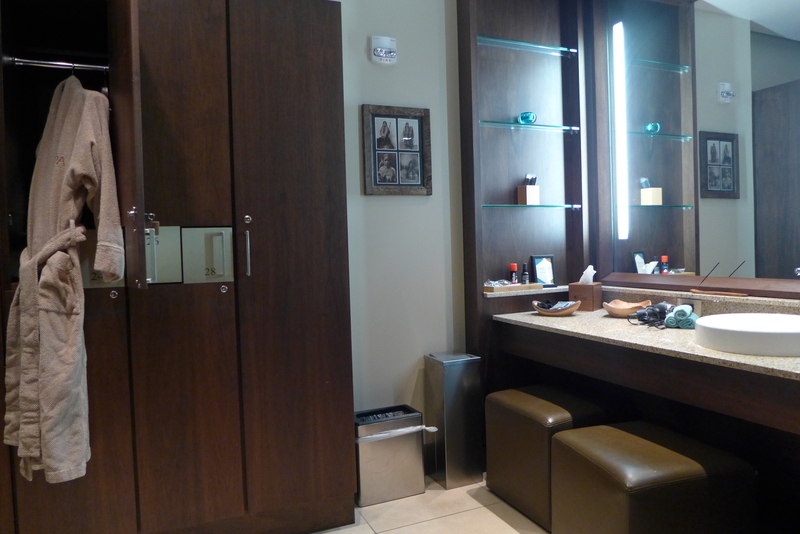 Once refreshed, a 60-minute Primland Signature Massage is performed, followed by its 60-minute Signature facial. Sweet Lodge Detoxifying Package (2 hours $240) This body treatment is designed to exfoliate, detoxify, re-mineralize and nourish the skin. A blend of natural oils and Dead Sea Salts is applied to soften and exfoliate skin, followed by a detoxifying wrap and float in a Soft Pack System cocooned in mineral-rich Sedona Mud. A 60-minute Detoxifying Massage completes this treatment, helping to increase circulation and a sense of balance. Earth and Sky Duo (2 hours $320) Enjoy Primland’s Unity Suite, as you share two peaceful hours of time with that special someone. Relax and unwind with a 30 minute soak in the Unity Suite’s private Jacuzzi. After your soak, each will receive a customized 45-minute massage and a 45-minute facial. Aluli Tiponi, Mother and Daughter Duo (120 minutes $320) This treatment, which was inspired by a Cherokee name that means “mother of child of importance,” allows a mother to spend a beautiful time with her daughter in the Unity Suite. Begin with a 30 minute Jacuzzi soak in the Unity Suite’s private Jacuzzi. Following that, each will receive a customized 45 minute facial and 45 minute massage. Before and After Ritual (3 ½ hours $360) Prepare for that perfect round of golf with an exfoliating Sea Salt scrub, shower and 60-minute sports massage. A combination of stretching and massage techniques are used to prepare you for any challenge. After your round, experience a relaxing Sedona Mud wrap, complemented by a 60-minute deep tissue massage… the perfect ending to a perfect day. Golfer’s Hand Renewal (45 minutes $80) This treatment, especially designed for dry or chapped hands, combines a scrub to exfoliate, soak to penetrate, massage to increase circulation and deeply hydrate even the driest of hands. A decadent paraffin wrap further helps penetrate and protect, leaving you with the softest of hands. Primland Signature Manicure (50 minutes $75) Receive the spa’s Signature Manicure with exfoliation and massage of hands and forearms, featuring a deep hydration treatment of warm paraffin to soften and rejuvenate the hands. Cuticle and nail shaping are followed by polish of your choice or high-gloss buff for the perfect look and feel. Primland Signature Pedicure (75 minutes $85) Enjoy an unparalleled experience, as your feet and lower legs soak in our air jet whirlpool footbath. Exfoliation and expert massage precede a deep hydration treatment with warm paraffin to soften and renew tired feet. Nail and cuticle shaping are followed by your choice of polish or high-gloss buff. Teen Facial (60 minutes (Ages 12 – 16) $120) Designed for young teens, this facial begins with a personal analysis of the skin, followed by deep cleansing, steam, mask, extractions and a relaxing face and shoulder massage. Your teens will be instructed on the proper home care of their skin. * Little Star Fingers (30 minutes (Ages 5 – 11) $45) Inspired by the young heroine “Little Star” of the Grandmother Littlewolf tale, this treatment starts with nail soak with your choice of MeBath! products and includes nail shaping, buffing, massage and polish of choice. *Parent must be present for the full treatment. To read the Luxe Beat Magazine version of this article click on the title Primland Destination Spa Luxury Mountain Retreat.